As previously mentioned, we’re participating in Google CodeIn 2017. 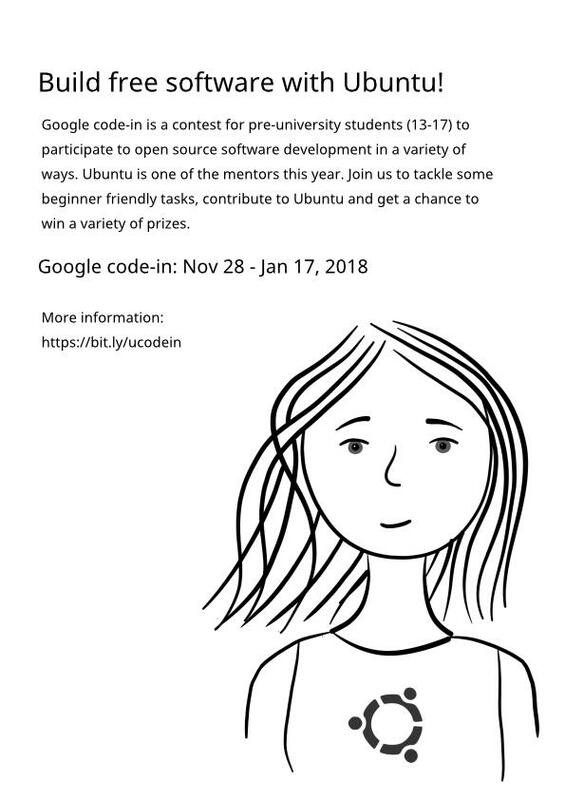 Pre-university students ages 13 to 17 are invited to take part in Google Code-in: Our global, online contest introducing teenagers to the world of open source development. With a wide variety of bite-sized tasks, it’s easy for beginners to jump in and get started no matter what skills they have. Mentors from our participating organizations lend a helping hand as participants learn what it’s like to work on an open source project. Participants get to work on real software and win prizes from t-shirts to a trip to Google HQ! 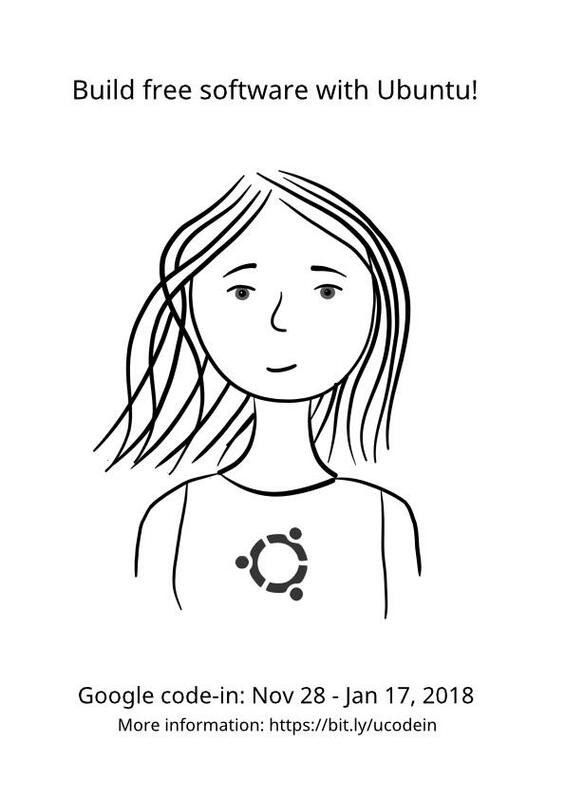 Find out more over at https://codein.withgoogle.com/ with the Ubuntu specific content at https://codein.withgoogle.com/organizations/ubuntu/. We also have a mailing list and #ubuntu-google IRC channel for co-ordination & discussion. Thanks to everyone who helped prepare our application and those who created (or have yet to create) tasks for this year. We already have multiple tasks claimed! Come on folks, get 'em while they’re hot. I’ve found a bunch of bugs reported against the manual testcase project rather than a specific package - not sure if this is a result of Google code in. I know it happened last time, if that is the case - then whoever is the mentor could make sure the contestant finishes the task properly. I was able to confirm these are coming from GCI students with all but one. Needless to say, mentors, please check to see if you might know that student. I did ask the students I found (one student did most) why they thought ubuntu-manual-tests was an appropriate package to file against. If this has happened before and it’s happening again, it’s probably going to continue happening and we need to get to the root of it. Maybe it would be wise to change this to something like “report an issue with the wording of this testcase.” Or just keep it as is but link it to general bug reporting instructions. Or get rid of it altogether because the “detailed information on this testcase” already provides such a link. The other problem we have is that those aforementioned general bug reporting instructions, at least as linked to the “file a bug” text at the bottom of the testcase seems to go nowhere, at last for some testcases, especially the least used ones (like those on the package tracker— see my concern about using this). The text is in orange. I’d expect them to go there first. But in lieu of not finding anything, I could see them scrambling for a solution and just clicking on the closest “report a problem”-looking link. That works if a flavour has set it up for them - check out one of the Xubuntu build cases. Yeah, Lubuntu’s covered there, too, but perhaps making sure that EVERY build case has that might be wise, or at least those cases that we’re using on GCI. That’s not a QA problem, though, per se. One other problem could stem from the fact that the majority of the QA tasks confusingly include a link that suggests package testing. Package testing isn’t very well used (it doesn’t even exist for Bionic) and most of the usual stuff isn’t there. This could be some of the confusion. I’ve already suggested a revision of all the ISO QA tasks, but not being the creator of them, I don’t know the intention. Maybe they want to do package testing? Lubuntu sure isn’t, though. but perhaps making sure that EVERY build case has that might be wise, or at least those cases that we’re using on GCI. That’s not a QA problem, though, per se. Yea - totally nothing to do with anyone but a flavour’s release or qa team.